The Wedding of Varinder and Jinder at Shennai, Reading (29/6/13). 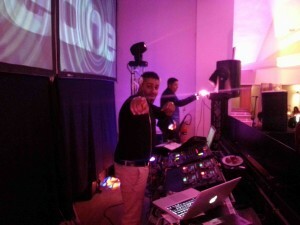 The Wedding of Varinder and Jinder at Shennai, Reading. (29/6/13). Shennai Banqueting in Reading was beautifully decorated for the wedding of Varinder and Jinder. 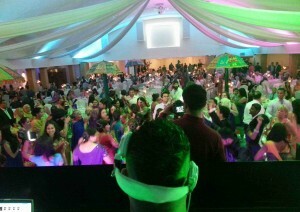 DJ H from Ritzy Music really got the crowd involved in the Grand Entrance for the lovely couple. Everyone was standing in their seats and clapping along to the beat as couple made their first appearance at their wedding reception. We later performed just after the first dance and the dancefloor filled up with friends, family and more friends. DJ H was playing some fine music and the dancefloor was rocking! Guests were also in for another treat as one of UK’s popular Bhangra Dancing groups ‘4×4’ were on the entertainment line up. This was a fantastic party. Congratulations to Varinder and Jinder.